The new Harmony Hotel is located in the center of Jerusalem, few minutes walking distance from Old City . All rooms are air conditioned and feature multi-channel cable TV, coffee & tea facilities, refrigerator, safe (suitable for personal computer), direct dial telephone with voice mail, and hairdryer. Guests enjoy free wireless internet access throughout the hotel. 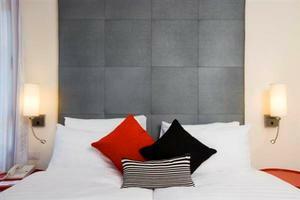 50-room hotel has a modern eclectic design inspired by the city's character. All rooms have air-condition , multi-channel TV, coffee and tee self-making facilities, small refrigerator, safe (suitable for personal computer), direct dial telephone with voice mail , hairdryer. There is free wireless WI-FI internet access in the hotel. 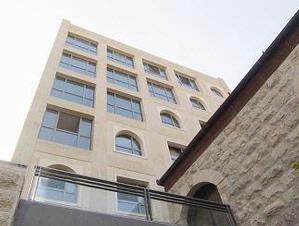 The new Harmony Hotel is located in the center of Jerusalem, few minutes walking distance from Old City . "The Staff is amazing, from the manager to the front desk, to the wait staff.....they are the BE..."